One of the major advantages of laser therapy is precision: With laser treatment you are able to treat specific areas such as broken capillaries or individual follicles with excessive heat from the laser light without damaging the surrounding cells. This is what gives laser its powerful and lasting effects. At Inviocare we offer many types of laser treatments; from hair removal, scar reduction and treatment of sun damage to skin rejuvenation and wrinkle reduction. Regardless of which treatment you choose, laser treatment is most often a permanent treatment with significant results, and the discomfort during and after the treatment is minimal. With a series of laser treatments, typically timed with 3-6 weeks in between each session, you can expect to reach your goal of permanent hair removal, scar reduction (degree depending on your skin type/ skin color and the scar type) reduction of sun damage both in the face, chest or on the hands, skin rejuvenation, wrinkle reduction and reduction of spider veins on the face, chest, arms or legs. Most laser treatments require you to stay out of the sun prior to treatment. If your skin is sunburned or if have you applied self-tanner, the pigmentation of the skin is increased and can interfere with the treatment’s outcome and increase the risk of side effects such as burning.Your skin must be pure and clean, and you should not wax your skin prior to laser treatment either. 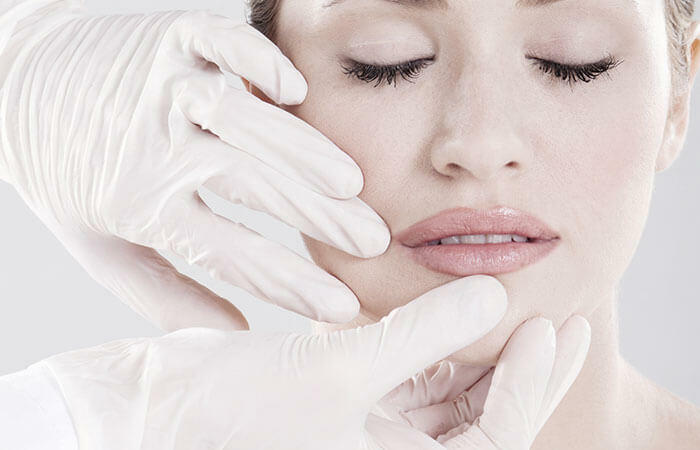 The treatment time start at 10 minutes and increase depending on the size of the treatment area. The laser light can feel a bit warm against the skin during the treatment, or it can feel like a slight sting on the skin, depending on what laser treatment you get. Cooling gels or other cooling products can be used to soothe the heat generated by the laser treatment, so that the discomfort is kept at a minimum. You may experience a slight reddening of the skin after a laser treatment, which usually goes away the same day. The skin should not be exposed to sunlight for 4-8 weeks after therapy, or as long as the skin seems affected by the treatment, and it can sometimes be recommended to use creams or ointments as an after treatment. You can use your own creams and makeup two hours after the treatment, unless otherwise advised. Depending on the type of laser treatment you have received, treatment can be repeated with 1-3 month intervals – your therapist will advise you.